It’s an interesting concept to take a multi-million user social service, and throw in an MMO. Of course, Facebook is not the first platform to support this feature. 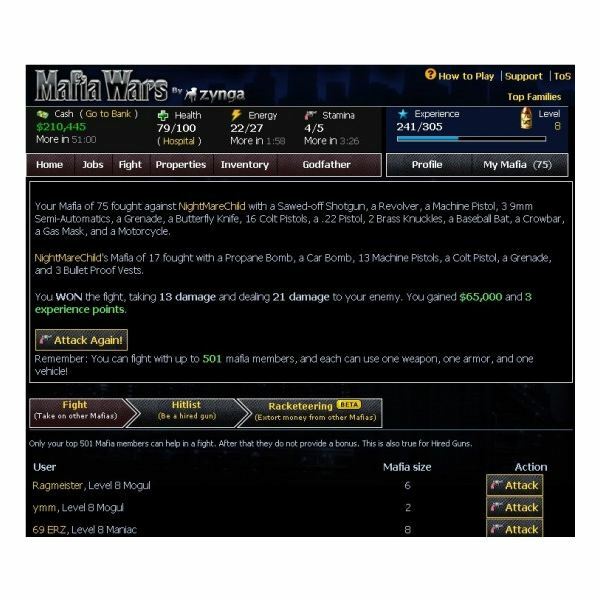 In fact, Mafia Wars got its start on Myspace. The idea here is that you head down their website to socialize with your friends and feel you’re in a friendly atmosphere, just as you would in real life. Well, What’s more friendly than playing some games? Correction; some of these games can get pretty competitive. 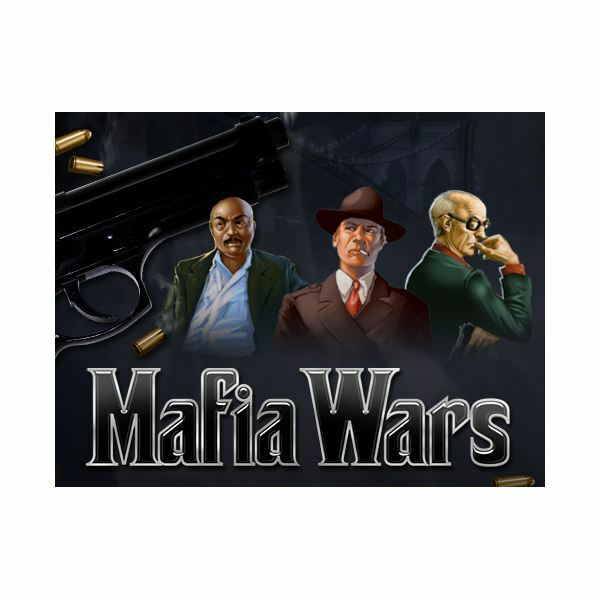 So be sure to be ready if you head on down and play some competitive Multiplayer Games, one of which being Mafia Wars, where you may end up declaring war on your own friends! 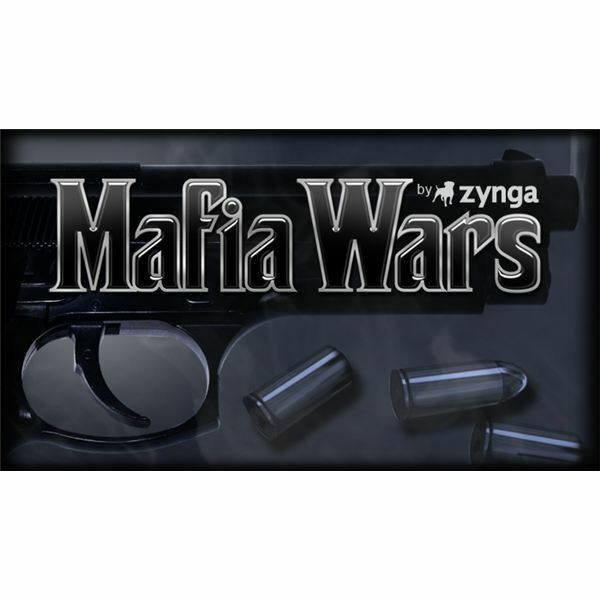 Mafia Wars, unlike most games on the Facebook platform,is at a a Massively Multiplayer Scale. In it, you control a "Mafia" of your own, complet missions, and level up, all while fighting your competition: other Mafias!. In the end, the strongest and greatest Mafia wins. Since it’s got that Massively Multiplayer aspect, we decided to take a look into it. Once you’ve designed your Don, you can then begin doing missions! Doing missions is the form of money making in the land of Mafia. Your missions can range from bank robberies, to your good old’ muggings. (Not there is much ‘good’ about them). As you do more and more missions, you will gain experience in these missions, which upon 100% experience, gives you a reward point. These Reward Points, we’ll get into later. Some of these missions require items to actually complete, which is where money comes into play of being needed. As you rack up your money, you can purchase the items you need with it, and also some property! Every Hour, you get a set income, and that amount can be increased by purchasing properties. Properties, which start as vacant lots and are upgraded, can be anything from apartments, to restaurants, to resorts. The more and better facilities you have, the more cash that flows inward. Now, this money has to go somewhere! It goes to your item purchases. In order to do certain missions, and to boost your attack and defense rating in multiplayer battles, you need items. These items are in a wide range. You can buy some, others you get from friends, and others you win in missions at chance. Be careful, because some of these items will remove your cash flow. 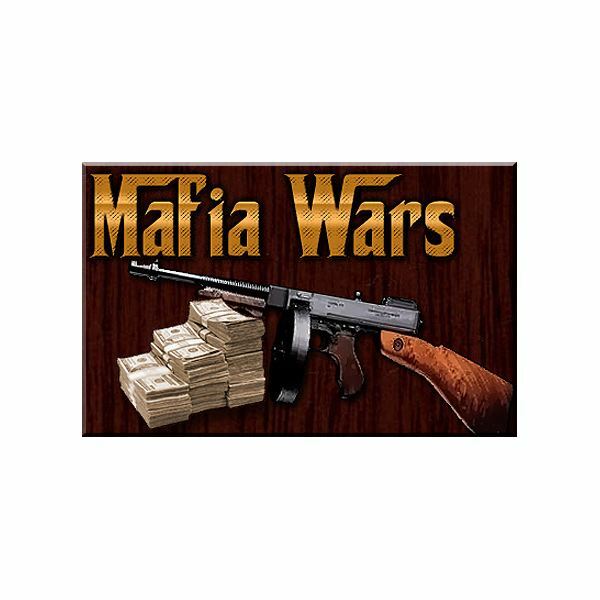 Need help making money in Mafia Wars? Click that link for a beginner’s guide to making money. Remember Those Reward Points? For some of the items you can’t acquire, or for some special refills or bonuses in your favor, the "Godfather" will give you them in return for those Reward Points. You get Reward Points by purchasing them, much like a cash shop, or by acquiring them in the game. In the end, the singleplayer aspect of the game is quite addicting.However once you use up all your energy, little is left to do, however its a solid level of gameplay and fun to pass the time with, so it gets a smooth 4 out of five points. Now that you’ve racked up some cash and goods, its time to go Mafia Hunting! Now that we’ve done some missions, bought some land, and a decent starting amount of resources, its time to go fighting! se any of your weapons, so get recruiting! That’s right, if you want to get anywhere in the Mafia Wars, You need to get yourself known and start telling everyone on Facebook to join your Mafia, otherwise you will be beaten by the larger Mafias! Size does matter here, so get those mafias built! ow, when you fight an enemy Mafia, you use Stamina. Once you’re all out of Stamina, you need to wait until you gain some more. A win or lose will deplete Stamina, so use those shots wisely! Besides these limits, you will LOVE the multiplayer gameplay, especially if you love Browser Based MMOs. It may be over in a moment, it leaves behind all the statistics, so you know where to improve. These features, and more, give it a Five out of Five. A Big Green Thumb Up! One of the key reasons why to pick Mafia Wars is its Facebook integration. You are still in Facebook, where you can receive alerts, IM your friends, and even post on your wall. Unlike other games that take you offsite, you’re still at Facebook.com, and this also prevents any tricks from your friends, ever. It’s also important to note that this game, which relies on recruiting, takes that seamless integration to its advantage. So? Is Text-Graphical Mafia Gaming your kind of hobby? Then head on over! The game runs on PC, Mac, even Iphone! By the way, There are also some other fun Facebook Games, like Farmville, and Pirates And Most importantly, be sure to pick up a guide to playing here! Now get out there, and make a name for yourself!